Famously founded in 1950 in New York, Junior's created The World's Most Fabulous Cheesecake®. Special is as special tastes, right? So, if you’re looking for something truly special, something that’s different and tasteful, then dig into Juniors. The only cheesecake maker to use 100% real Philadelphia® cream cheese, fresh eggs and vanilla, Junior’s hand blends the rich batter in small batches. 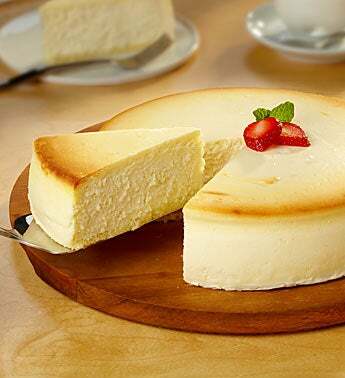 Send this sweet, melt-in-your-mouth Junior’s® Original NY Cheesecake. It’s what all cheesecakes aspire to. Kosher Dairy Kof-K. Serves 12. Net wt. 3 lbs. Special is as special tastes, right? So, if you’re looking for something truly special, something that’s different and tasteful, then dig into Juniors. Kosher Dairy Kof-K.